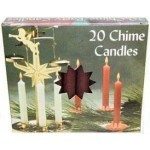 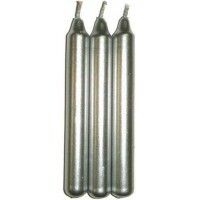 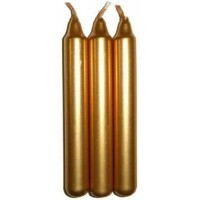 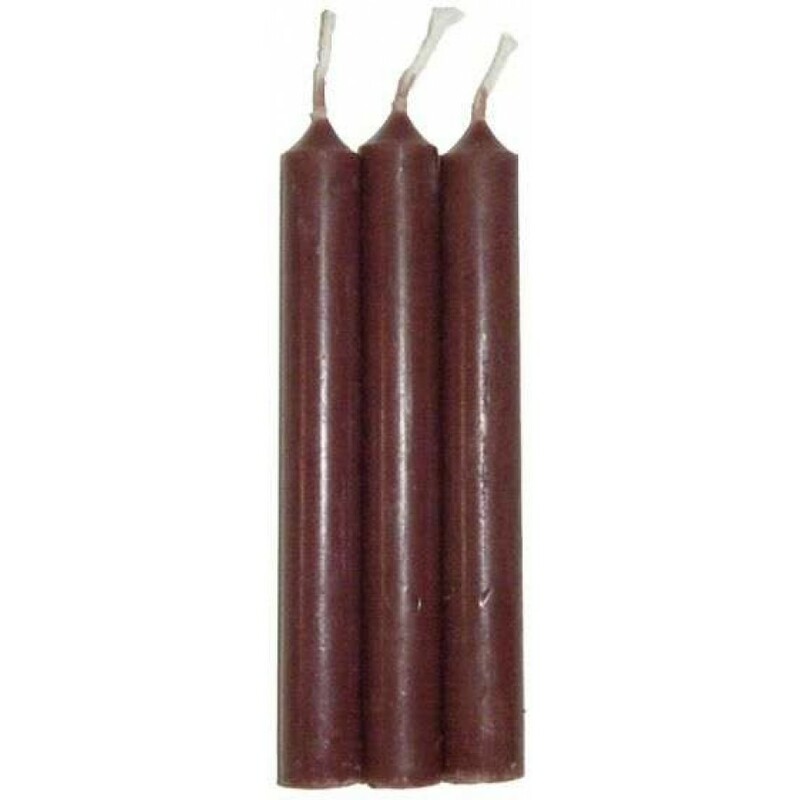 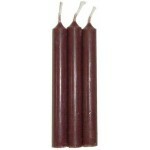 Brown chime or mini taper candles are great for ritual use. 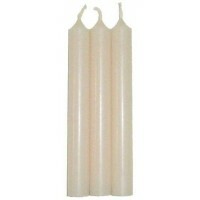 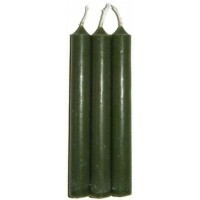 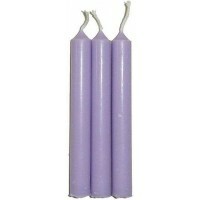 These petite taper candles are 4 inches high and are perfect for spell use burning about 1-2 hours. 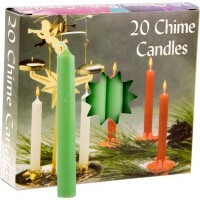 They are 1/2 inch wide and come in a box of 20. 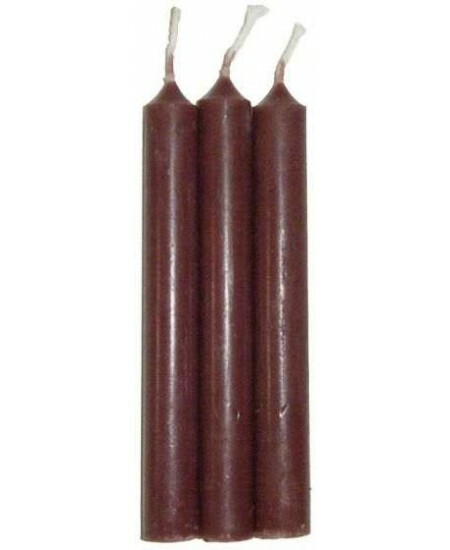 Brown candles are perfect for earth-oriented spells such as ecology or animals. 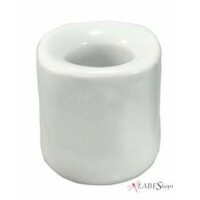 Item Number: RV-CCBROWN | Approximate Size (Inches): 3.50 wide x 3.50 deep x 4.50 high | Approximate Shipping Weight: 1.00 lbs. Glazed white ceramic candle holder is designed to hold mini tapers or chime..
Glazed blue and gold star ceramic candle holder is designed to hold mi..